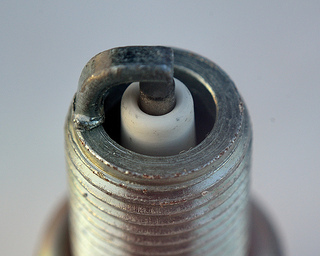 The Aprilia Futura’s spark plugs as original equipment are NGK DCPR9E or DCPR8E (hotter grade). The manual says to clean and regap the plugs at the 4,650 mile service, then to replace at 9,350 miles. The plug gap should be 0.6-0.7 mm. Some owners have switched to Iridium plugs, which are far more expensive. Whether it’s worth the expense would appear to be down to personal taste rather than anything else. But it has to be said that just changing worn out standard plugs makes a massive difference to the responsiveness of the engine.